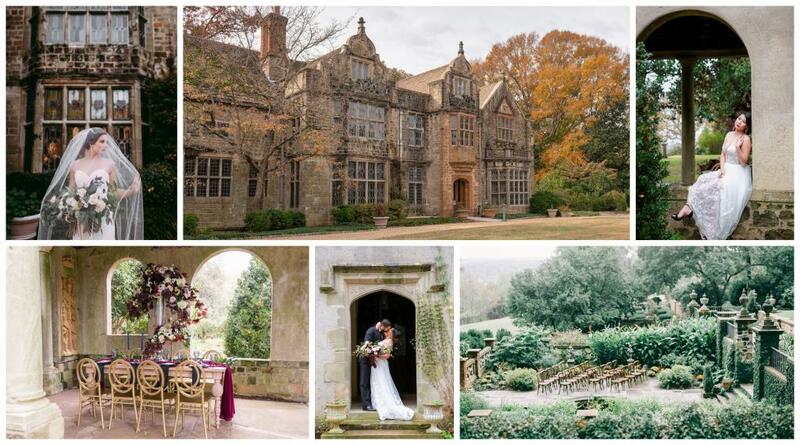 Virginia House, a romantic English Tudor manor house, was relocated to Richmond's Windsor Farms neighborhood in 1925. 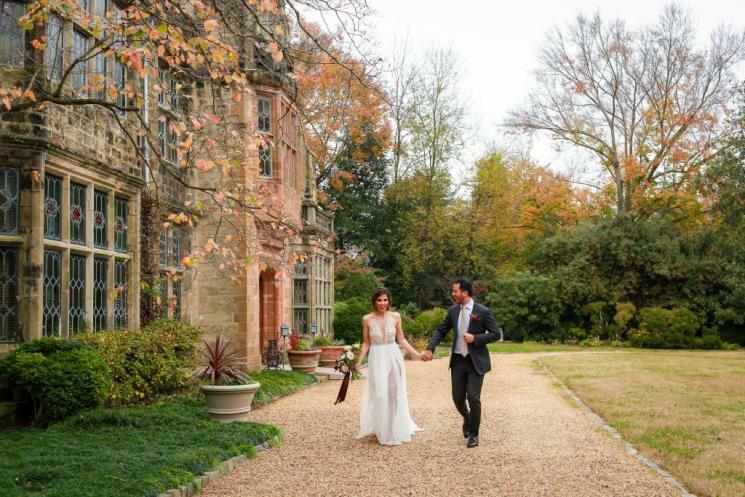 Nestled on a hillside overlooking the James River and surrounded by nearly eight acres of grounds and gardens designed by Charles Freeman Gillette, it is the perfect backdrop for portraits, retreats, dinners, ceremonies, and receptions. Preserved with original woodwork and antiques, the house itself maintains its original character while offering modern amenities necessary for large gatherings and special occasions. Learn more about the history behind this beautiful property. Garden View of Virginia House. Image courtesy of Nikki Santerre Photography. Upper gardens at Virginia House. Image courtesy of Patina Photography. Lower gardens at Virginia House. Image courtesy of Nikki Santerre Photography. Loggia at Virginia House. Image courtesy of Annie Sharp Photography. Loggia at Virginia House. Image courtesy of Kelly Eileen Photography. Garden staircase to Virginia House. Image courtesy of Nikki Santerre Photography. Patio at Virginia House. Image courtesy of Skyler VanGorkum, Clear Sky Images. Archway to patio at Virginia House. Image courtesy of Annie Sharp Photography. Interior at Virginia House. Image courtesy of Alex Tenser Photography. The Great Hall at Virginia House. Bouquets in the Foyer at Virginia House. Image courtesy of Nick Davis Photography. Groom and groomsmen in the Library at Virginia House. Image courtesy of Nick Davis Photography. Bridal Suite at Virginia House. Image Courtesy of Nick Davis Photography. In front of Virginia House. Image courtesy of Nick Davis Photography. Garden View of Virginia House. Upper gardens at Virginia House. Lower gardens at Virginia House. Garden staircase to Virginia House. Archway to patio at Virginia House. Bouquets in the Foyer at Virginia House. Bridal Suite at Virginia House. In front of Virginia House.